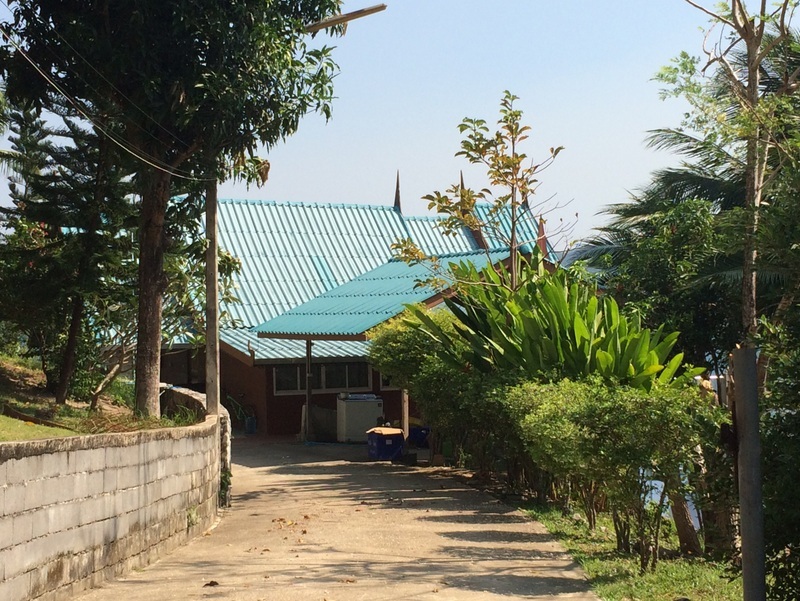 PHUKET: The owner of a mansion located on the headland south of Patong, with stunning views back across Patong Bay, has been given 30 days to remove all structures from 69-rai plot of land, likely worth more than a billion baht, on which the home stands. The order was posted today (Mar 9) by officials from the Phuket Agriculture Land Reform Office (ALRO), led by ALRO Phuket legal representative Sutthawat Narksawart. 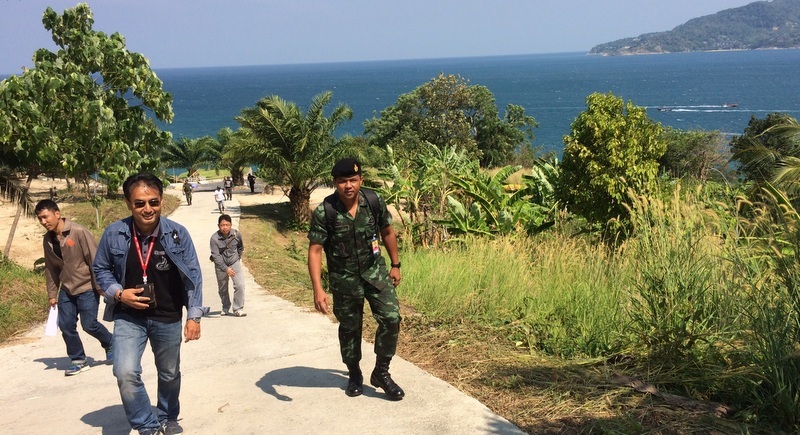 Soldiers based in Phuket, led by Gen Aryuphan Gannasoot from Royal Thai Army Region 4, which is responsible for all of Southern Thailand, provided security. 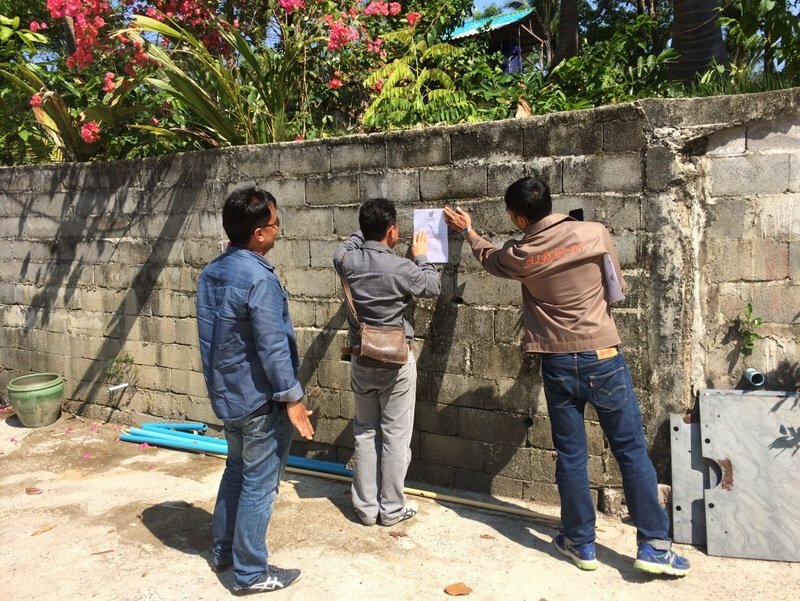 The task force of about 20 law-enforcement officers, including Patong Police, posted a large sign at the front gate the mansion that announced that the land had been reclaimed by the Phuket ALRO office and warned against encroaching on the land. 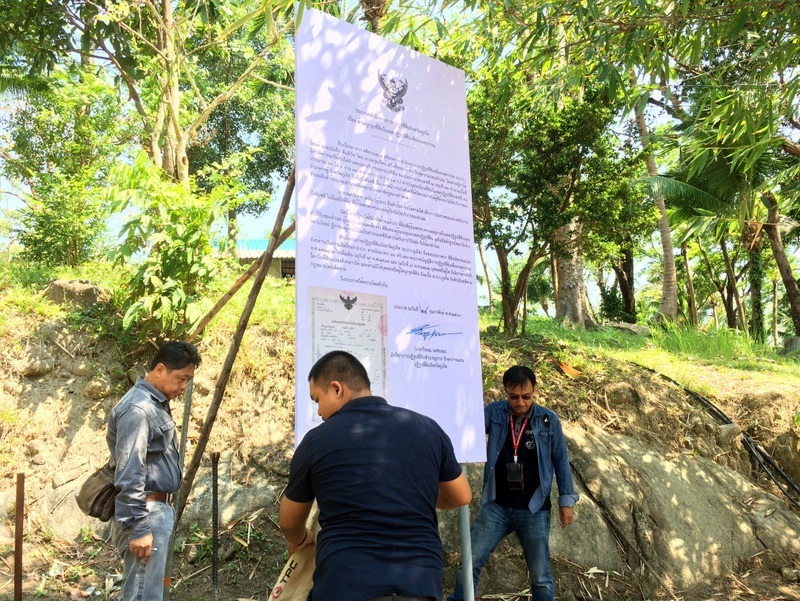 The sign included a large image of the SorPorKor deed issued for the plot. The notice explained, “The Supreme Court has ruled that this area covers land previously claimed by Banlue Tantiwit. The Supreme Court ruled that Mr Banlue had no right to this land. SorPorKor land is government-owned land handed over to poor farmers to use in order to make a living. SorPorKor titles, administered by the ALRO confer only a right to use the land; ownership is never handed over to individuals. The officials today also posted handbill notices on the property’s perimeter wall next to the front gate and explained the notice to the property’s caretaker, who officials identified only as “Mr Pairote”. 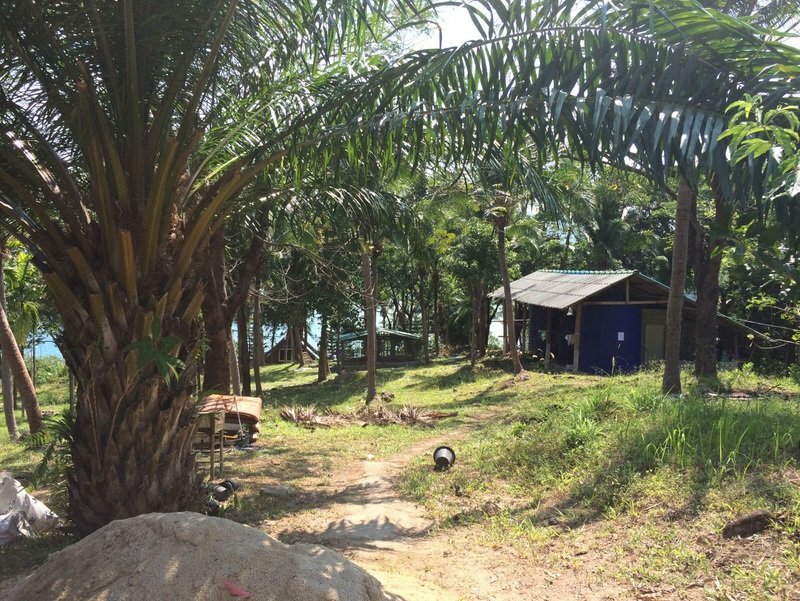 Mr Pairote told officials that he looked after the property for a Mr Sompong Sakunthab and said that Mr Sompong had a SorKor1 deed for the land. 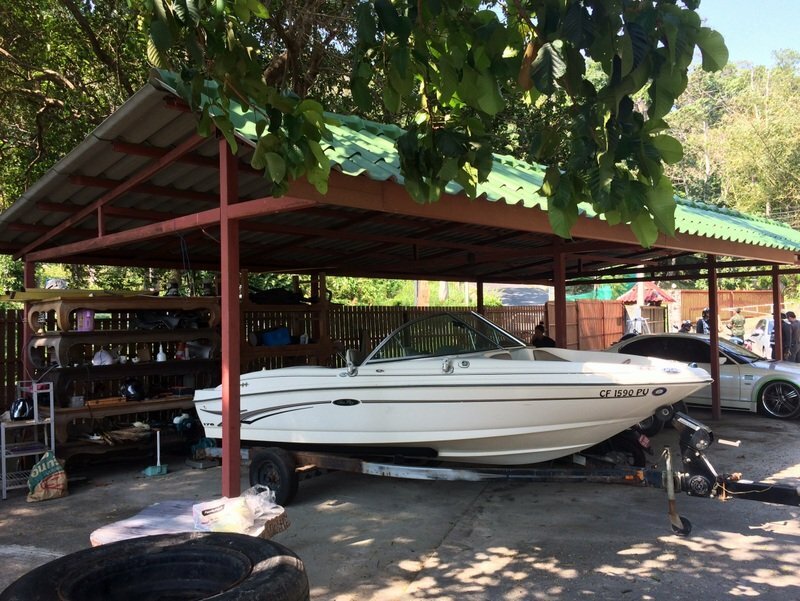 However, Mr Sompong’s lawyer – who did not give his name – soon arrived and told reporters, “I insist that this 22 rai is outside the SorPorKor land. “We have evidence that this land was private property long before adjoining plot of 69 rai was allocated as SorPorKor land. There is a even a mango tree that proves this,” the lawyer said. The Supreme Court in 2007 legally stripped Mr Banlue – and his inheritors – of any claim to the 69 rai in question after the court deemed that he had falsely applied for the land by claiming he was a poor farmer. Phuket-born Mr Banlue, who died in 2001 of a heart attack at age 70, was the patriarch of the Tantiwit clan, which owns the Patong Resort and Patong Tower condo building. He also founded the Phuket Rotary Club and had served as the president of the Phuket Provincial Administration Organsiation (PPAO, or OrBorJor). In the defense for the family’s claim to the land, it was argued to the Supreme Court that the original owner sold the rights to the land to the Tantiwit family in 1980. The Supreme Court dismissed the claim. He has evidence of ownership, but the application for the SorKor1 is "still in process"? SorKor1 is the most basic level of private land ownership, the only "evidence" he can have is a tax receipt, which doesn't prove ownership, only that he paid the tax, and so 'wanted' to own the land. For something what has a value of more than 1 billion thb there will be always a understanding/misunderstanding, and paper shuffles possible with deeds. Anyway there are still things in process in Land Office, according the lawyer. Buildings gone within 30 days? I don't think so. Look at some beaches were things suppose to be gone long time already, all still there. I wonder who thinks the buildings will be gone in 30 days ?